Having the discussion about the type of funeral services that you or your loved ones would like is not an easy discussion to have. Most people shy away from even thinking about the topic of death, let alone actually discussing it. One tool that can help get a conversation started and ease into this discussion is preparing a personal information list. 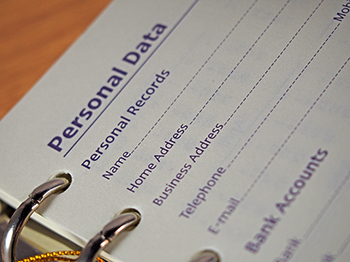 Sometimes referred to as an In Case of Emergency or ICE document, this compendium of personal details will help organize important documents and information in one place. Having an ICE document provides emergency contact information and makes it easy for family members to manage your affairs if you are not able to. An ICE document can be simple (a single page) or as detailed (a folder or booklet) as you would like. Recording this important information will provide your family a helpful guide in case of emergency and can often open the window to a larger discussion about what your family would want for a funeral service and memorial. Each ICE document will be a little different, but here’s a general list of information that you should consider including: personal details such as family member contacts, social security numbers, military service; healthcare provider contacts; medical and life insurance policies; banking and investment accounts; logins, passwords for online accounts and subscription services. To help you get started, the Buch Family of Funeral Homes has created an ICE document template. You can also add a category for Funeral Arrangements which would include details about final wishes for your arrangements, such as cremation/burial, open/closed casket, type of memorial service, etc. Once this book is created, it is a good idea to update it at least once a year, since many things items change frequently. Once your book is created, make sure to let a family member know where this book can be found if it is needed.